Deja vu - my Easter ensemble circa 1977 is uncannily similar to my weekend brunch outfit, though my choice of "accessories" has changed! 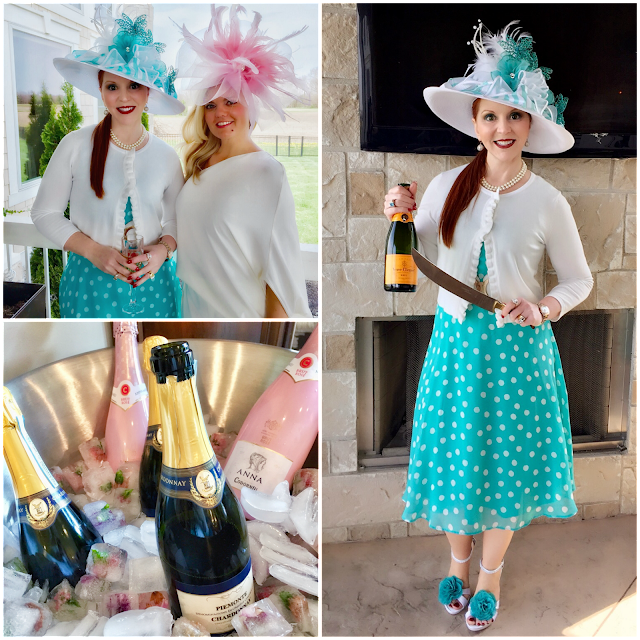 This weekend I was fortunate to take part in a delightful Spring champagne and chapeau brunch hosted by a dear friend. Hats were de rigueur, and as I chatted with other guests about all things millinery, someone asked if I had always been a "hat girl." The heart shaped heels on these shoes from Amazon are everything, and they're very comfortable. 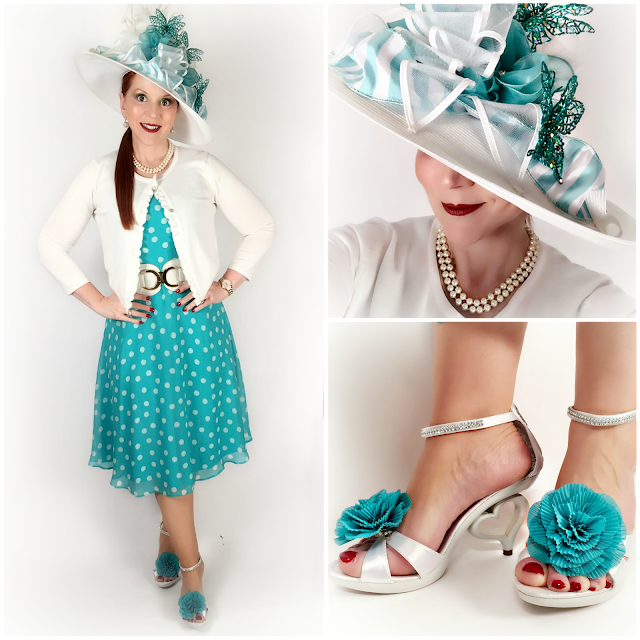 I added the aqua shoe clips to coordinate with the dress. In truth, I didn't truly embrace the hat (baseball hats excepted) until my mid-twenties. Specifically, it was during a trip to San Antonio with girlfriends the weekend after I took the bar exam in 1999. We went to an art fair, where I met a local milliner and fell in love with a handmade embroidered linen sunhat. When I put it on and looked in the mirror, I felt so...me! After that, I was all about the hats. Yet, last night when I was looking at photos from the brunch and thinking about Easter, I suddenly had the strongest sense of deja vu...and after a bit of digging through a drawer of old photos, I uncovered the Easter Sunday photo taken on the sofa (or the "davenport," as she called it) at my Grandma Spangler's house circa 1977. Heart shaped sunglasses complement the heart-shaped heels, and my Kate Spade champagne bucket purse was a "must" for a champagne brunch. The hat is from Steinmart, but was a plain white base - I added the aqua details. 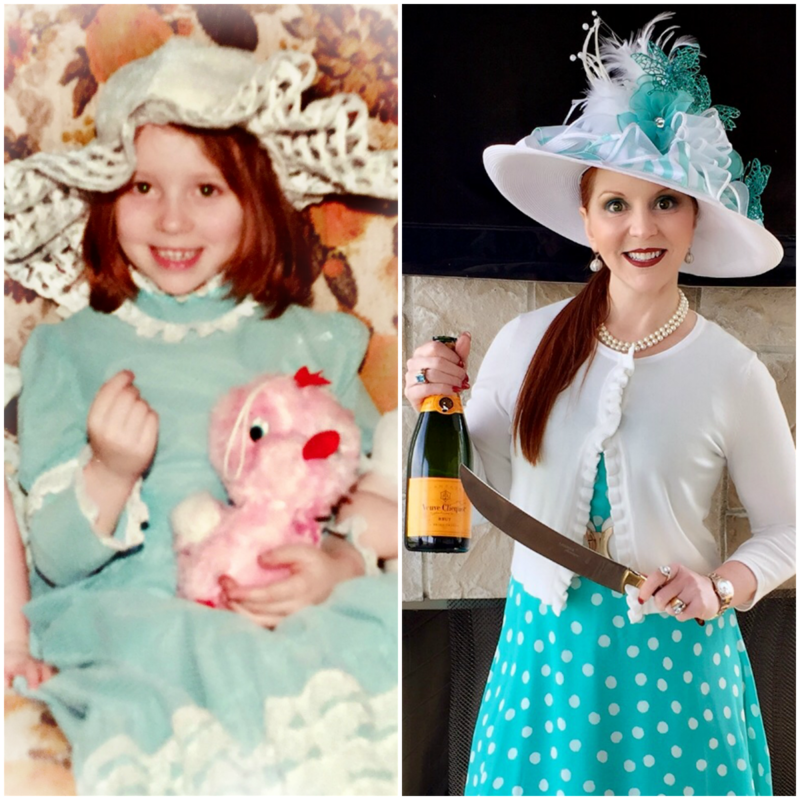 I had to laugh at the similarities between my brunch outfit and the dress/hat combo I sported as a five year old, from the aqua and white color scheme right down to the ruffles. I guess I was a hat girl just a few years earlier than I thought...though the "accessories" have evolved from stuffed chicks to champagne! Wishing you all a peaceful, joyous Easter celebration filled with His grace (and maybe a Reese's Egg or two). 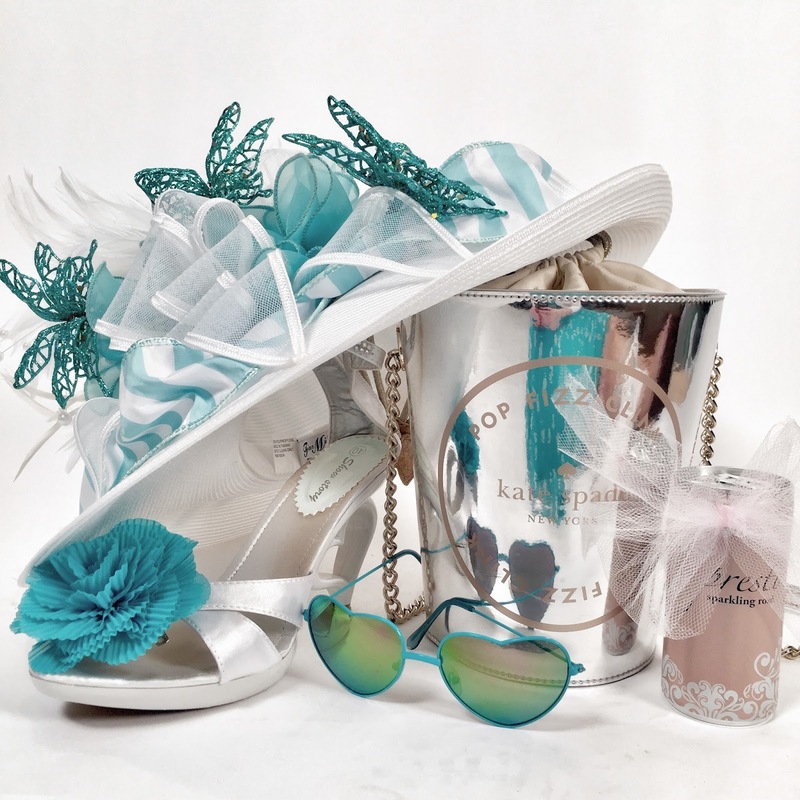 Check out Hat Attack for more fabulous chapeau stories! I adore your hat! 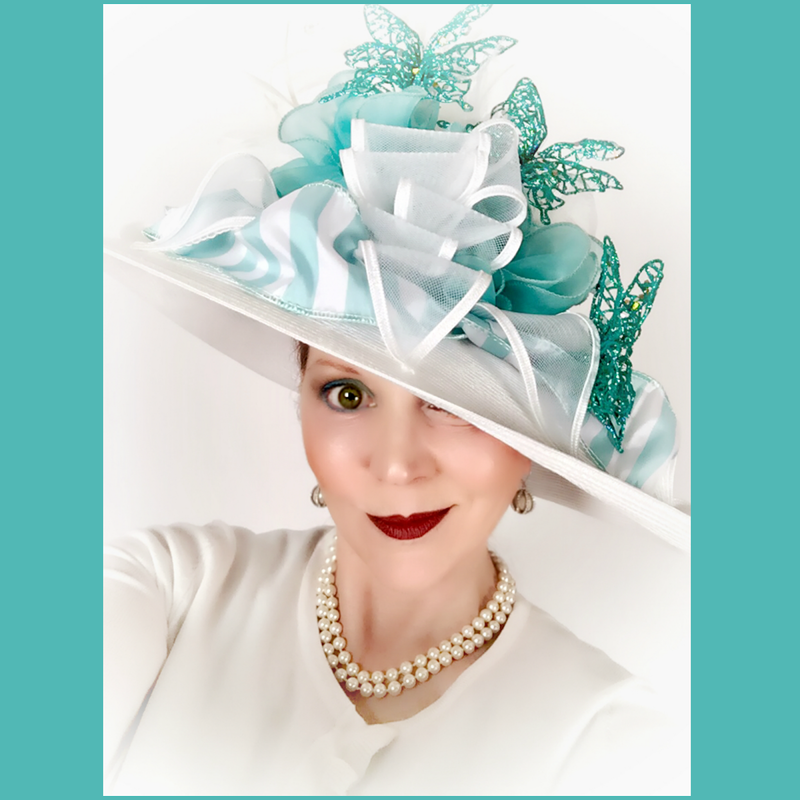 Viewing your photos, I hear the song Easter Parade in my mind…”You in your Easter bonnet with all the frills upon it.” And yes, definitely you were born to be a “hat girl”! Thank you for sharing such a beautiful creation with Hat Attack! That is such a wonderful dress. I like the sky blue and white combination and those shoes are just perfect! 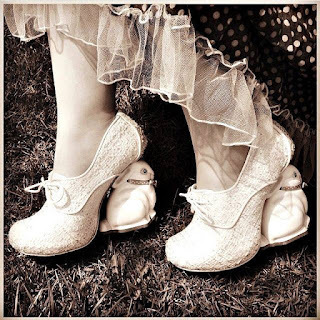 Going to try this on next Easter.